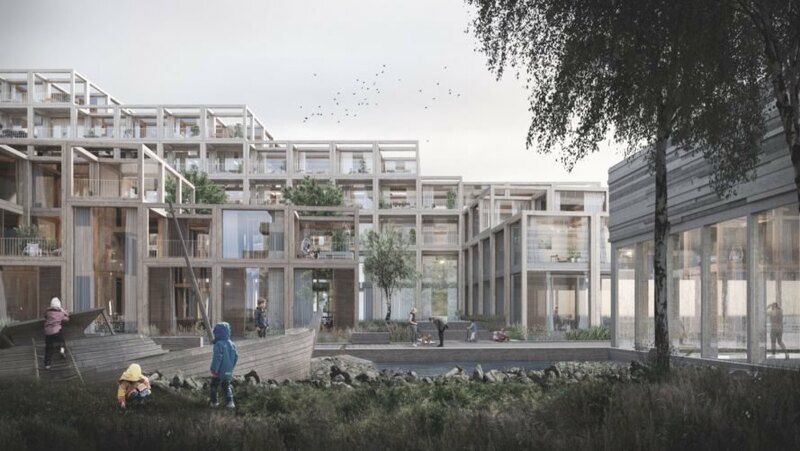 Danish architecture firm Lendager Group has won an international competition for its design of the UN17 Village, a sustainable residential development that will introduce 400 new homes to Copenhagen, Denmark. 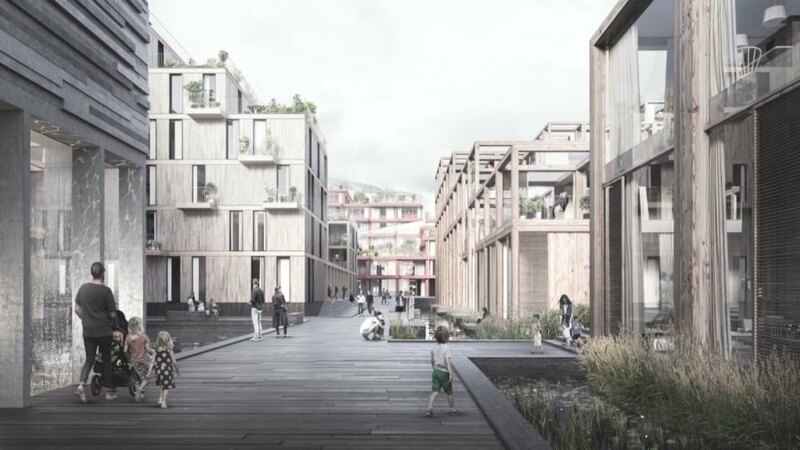 Selected over shortlisted proposals from prominent firms such as BIG and Henning Larsen, Lendager Group’s winning design aims to create “the first building project in the world that translates all 17 of the United Nations’ Sustainable Development Goals (SDGs) into tangible action.” The project will span an area of 35,000 square meters in the city’s southern district of Ørestad South and is slated for completion in 2023. 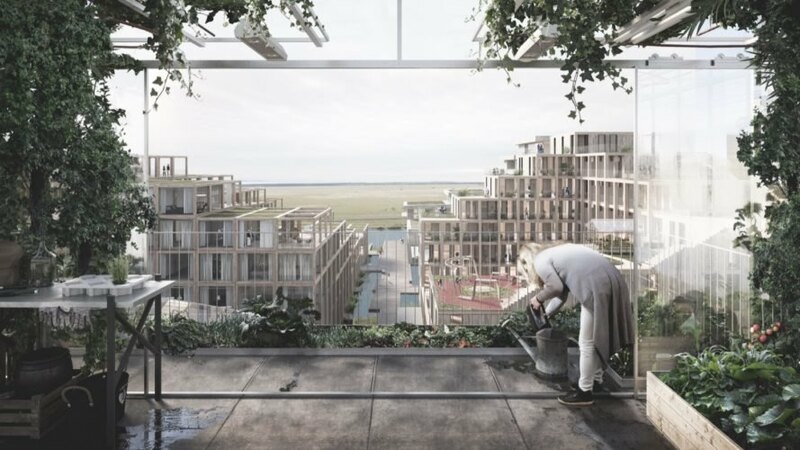 Created in collaboration with NREP, MOE, Årstiderne Architects and Arup, the winning UN17 Village proposal will follow the UN’s 17 Global Goals with a design that will be built with recycled materials, renewable energy sources and other energy-saving strategies. The upcycled construction materials will also be locally harvested and processed to stimulate the local economy. In addition to creating 400 new homes, the residential development will also include a variety of public facilities such as a communal kitchen, workspaces, guest housing, a recreation center with a bathhouse and a communal laundromat fed with recycled rainwater. A healthy indoor climate will also be emphasized throughout. The home interiors will have a spacious feel and will be dressed in nontoxic and certified materials. Rooftop solar panels will fulfill the energy needs while an abundance of greenery and garden spaces will be integrated to promote sustainable living. Lendager Group's UN17 Village has won an international competition. The design incorporates all 17 of the UN Sustainable Development Goals. 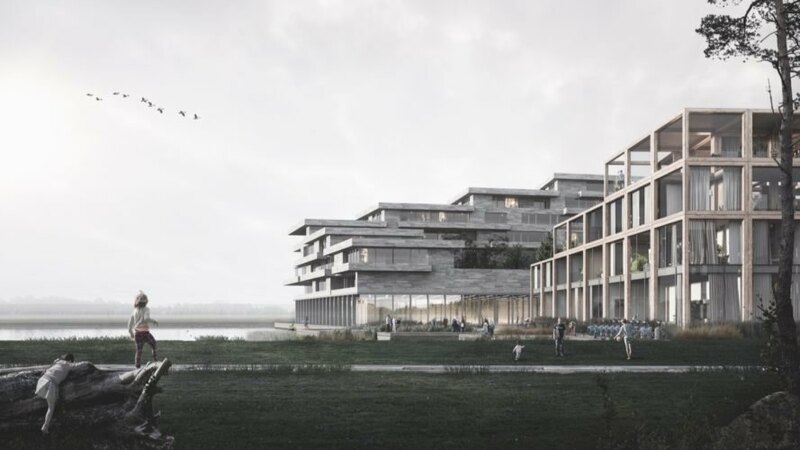 The structure will create 400 new homes in Copenhagen. The ecovillage is slated for completion in 2023. The structure will be comprised of upcycled construction materials. The village will span 35,000 square meters. The project includes housing, a communal kitchen, workspaces, guest housing, a rec center and a laundromat. The building will rely on renewable energy sources for power. Rooftop solar panels will help meet energy needs. Recycled rainwater will also be integrated into the project.